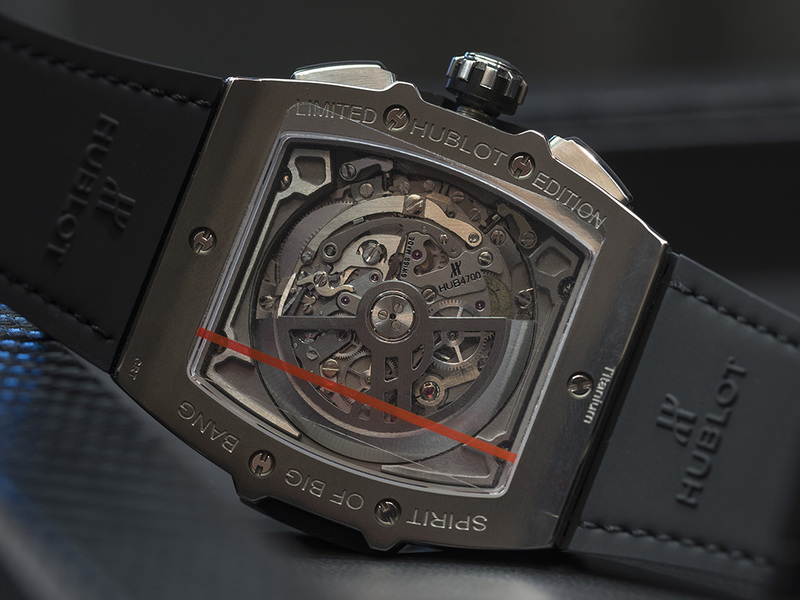 Examining this timepiece the first thing that you will notice, is that despite its tonneau shaped case, which is certainly very different from other Hublot models, the watch holds all characteristics of the Big Bang family. 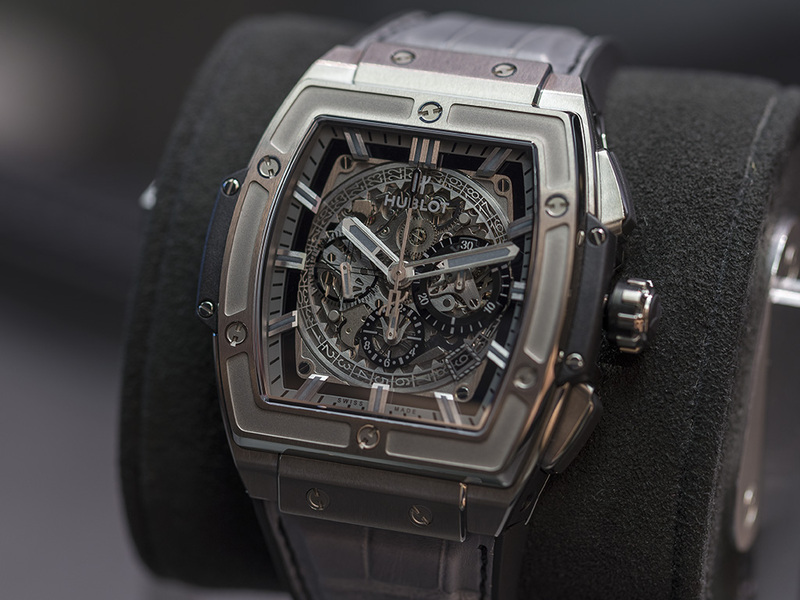 This little more angular case design is just as remarkable as its predecessor’s from the famous Hublot lineup. 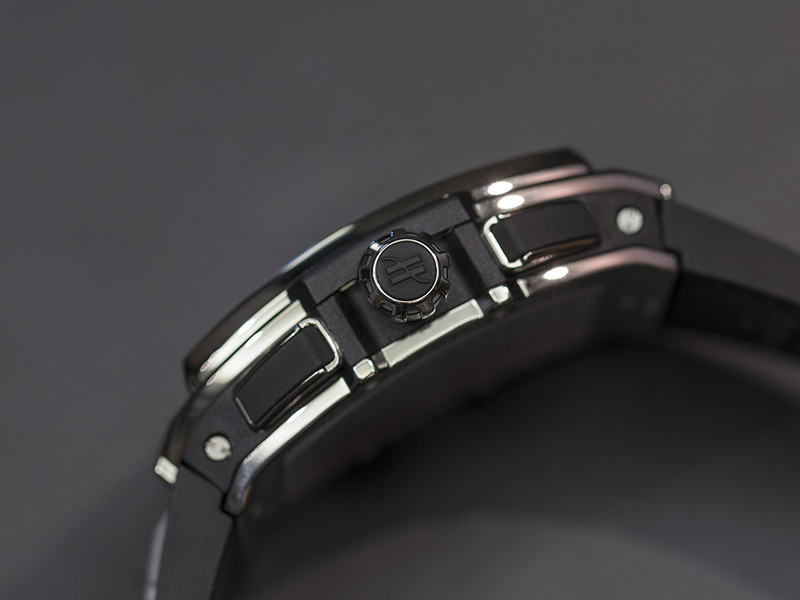 Another trait worth mentioning about the design is the curved caseback, which allows great comfort as it sits on the wrist and also reveals strong attention to detail. The H formed screws on the bezel and the rubber setting around the crown and pushers further ensure the presence of the iconic Hublot feel. Despite the skeletonized dial, which goes perfectly with the overall design, the baton shaped hands and indexes allow easy readability, but still blend perfectly into the dial. The calibre powering this bad boy certainly serves as another cool factor. Zenith’s legendary automatic chronograph calibre, “El Primero” beats at 36.000 v/h, granting the otherwise ultra modern Spirit of Big Bang with a touch of horological history, all the way from 1969. 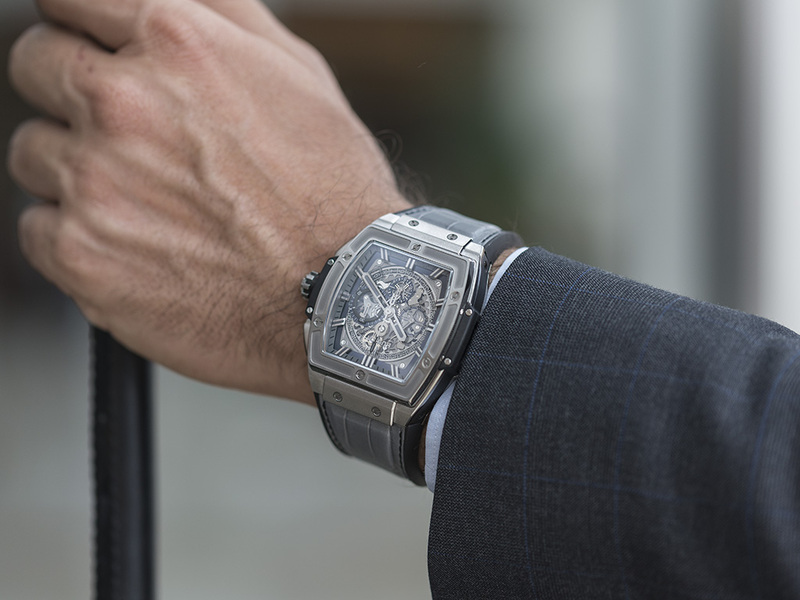 The busy skeletonized dial reveals all the miniature details of the watch in a very exciting way, however might confuse you at the first sight. Not to worry, because the dial and case design ensure enough contrast and dimension to enable instant readability and to make this timepiece a flawless work art. The modern industrial design with its above-mentioned world class El Primero calibre will evoke nothing but admiration in you. Depending on the exact model you chose, the Spirit of Big Bang will be offered with either crocodile leather or rubber strap options. The rubber lining on the inside of the leather strap will provide comfort in all conditions and prevent the leather to wear out. 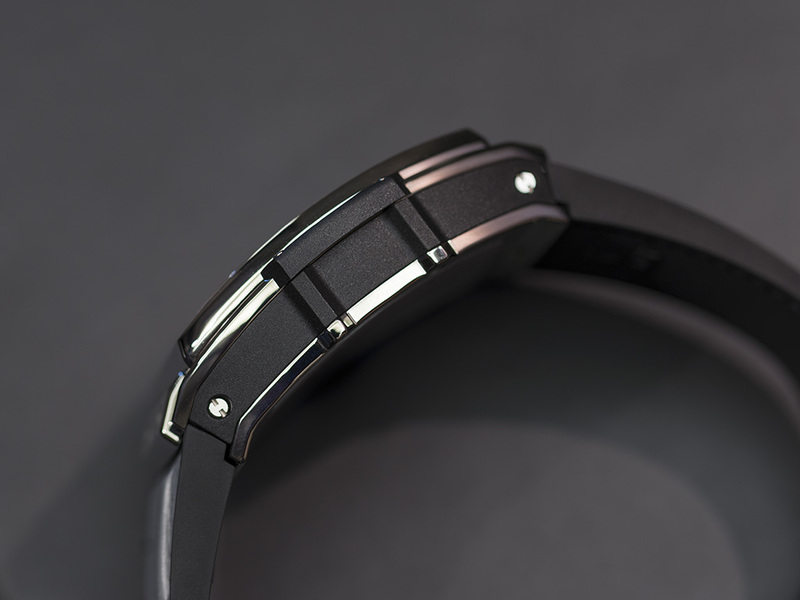 On both strap options you will find Hublot’s folding clips, which by now can be considered as a classic. This timepiece resembles Hublot’s fusion concept perfectly, by taking it to another level, whit its edgy, yet fine look. The Spirit of Big Bang is limited to a 100 pieces. Certainly take a look at them at your local Hublot Boutique.